Update 26.4.2016: I published a new article with a link to a companion web app for this article. 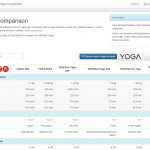 You can more interactively compare the different Yoga models there. I also added a reference to this web app to this original article. Update 22.6.2016: As this article gets a lot of views, I updated the text with new Yogas that have hit the stores since this was published. I also updated the web app to include the Yoga 510 as well. I fixed some specs and added links to other reviews as well. 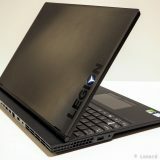 This is a guide to all the Yoga notebook goodness Lenovo offers currently. And there are quite a few Yogas out there! If you are unfamiliar with the Yoga style of computers, I will tell you this: when you see one, you will probably like the Yoga idea – whoever I showed the Yoga always liked it. Is it a computer for you and which one to get if you want one? These can be difficult questions to answer. The Yoga line or 2-in-1 notebooks mean a computer that is both a tablet and a notebook at the same time. The display can be bent backwards a full 360 degree, until it sits on top of the bottom of the notebook. So in addition to the regular notebook mode, you can use it as a stand, a tent or a tablet. Read my article about the Yoga modes for more information. 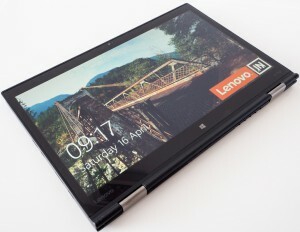 Lenovo released the first Yoga about 3 years ago. Since then, other manufacturers started copying the design as well. This year (2016) has seen a boom in the different Yoga notebooks Lenovo offers. So what Lenovo Yogas are available? Are they all similar? Different? Which one to choose? There are a lot of Yogas and more are coming. Because of the changing nature of the available models and because it was difficult to compare them, I also created an interactive tool (browser based) to be able to compare just the models you want. What can these Yogas do anyway? All these notebooks support all four modes of operations. If you would want to read an example how you can utilize the Yoga modes, please read my guide about using a Yoga for presentations. In this department, they are all equal. 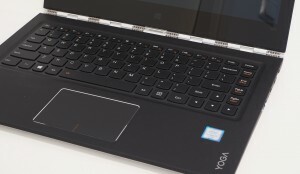 The ThinkPad Yoga line has a unique feature that is not present on the consumer Yoga line, and that is the lift and lock keyboard. 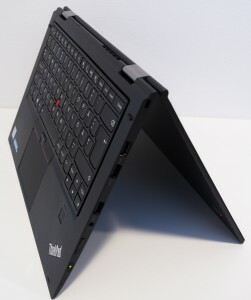 When the ThinkPad Yogas go into tent, stand or tablet mode (the hinge goes beyond 180 degrees), the keyboard frame raises, so the keys and the frame is flush. The keys also get blocked, and cannot be pressed. Some people complain that the YOGA 900 is uncomfortable in tablet mode because you can still physically press the keys. If you are one of these people, you will need to look at the ThinkPad Yogas. I do not find it disturbing, although it does feel strange. The Yoga 3 Pro has a processor from 2014, a Core M chip. The YOGA 900S and the YOGA 700/710 (11 inch) have a second gen Core M chip. All other notebooks have 6th Generation Skylake Core i processors. Because you can decide which processor to get, there is no clear winner in this category. The Yoga 3 Pro lags behind with the Core M chip, but if you read my review you will see that it is still a very capable machine. The 2nd generation Core M models are even better, and have nothing to be shy about in the performance department. Of course the Core i processors will take the lead in performance, but that does not automatically mean that everyone will need the power they offer. Because different people have different needs, I will not automatically say that the faster and more expensive processor is automatically the winner here. All these notebooks come with SSD storage. Options include SATA and PCI NVMe. While the latter is speedier on paper, I am unsure how noticeable the difference would be in real world situations. That said, I did buy a X1 Yoga with the faster PCI NVMe, and it just blows my mind how fast it is. Having used other models as well, I would still say you will be happy whatever you get. The SSDs are replaceable (with more or less hassle). Every Yoga in this article can have up to 16Gb of RAM. The older model the Yoga 3 Pro is limited at 8 Gb (and those cheaper 710 and 510 Yogas also end at 8Gb, except the 15″ 710 version). The Yoga 3 Pro, YOGA 900 and X1 Yoga have memory modules that are soldered to the motherboard. This means that you cannot change the amount of RAM later, if you decide that whatever you got is not enough. The ThinkPad Yoga 260, 460 and the P40 Yoga have a single DIMM slot. This means that you can upgrade the RAM later. Winner: I would call all this years Yogas winners. I don’t feel the soldered RAM is a big disadvantage, but of course your milage may vary. Many come with either Intel 515 or 520 graphics, with a few exception. The newer edition of the YOGA 900 can have the Intel Iris Graphics 540 option. 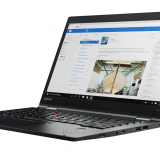 The ThinkPad Yoga 460 can also come with an nVidia GeForce 940M. The ThinkPad P40 Yoga comes with an Intel 520 + nVidia Quadro M500M combination. The Yoga 710 (14 and 15 inch) can also have the Nvidia GeForce 940M. The Yoga 510 comes with AMD Radeon R7 M460 graphics. Winner: If you require dedicated graphics because of games or design/CAD programs then the 460 and the P40 Yogas take the lead. The 710 and 510 series also comes with dedicated options, but those are cheaper notebooks, so they come with other compromises. For almost any other task you can bet on the integrated graphics solution to perform well enough. Weight wise the non-dedicated graphics options are around 1.2-1.3 kg and the bigger (more powerful) 460 and P40 Yogas are around 1.8 kg. Still pretty light. 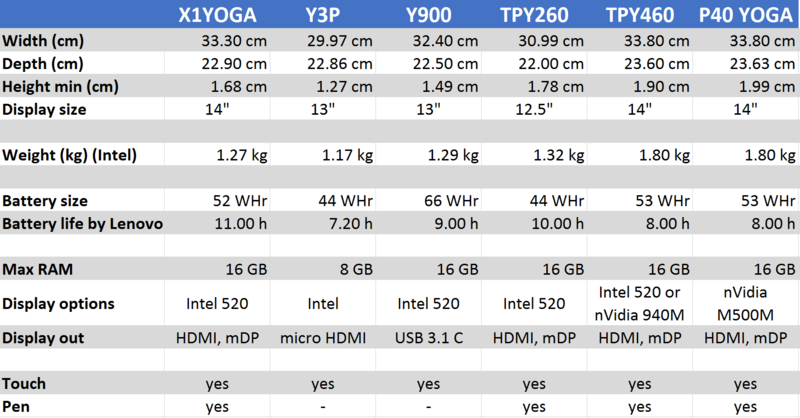 Size wise the winner is the YOGA 900S, followed by the Yoga 3 Pro. The 11 inch version of the 700 and 710 Yogas are also very small. The ThinkPads have a wonderful keyboard of course. The YOGA 900 and Yoga 3 Pro keyboards are decent, but not quite the quality of a ThinkPad keyboard (I am mostly typing this article on the YOGA 900, and it is a pretty nice typing experience). The ThinkPad Yogas come mostly in FHD (1920×1080), and go from 12.5″ to 14″. The ThinkPad Yoga 260 has a HD screen option in addition to the FHD one. (remember, HD is lower than FHD!). I would advice against getting the HD screen with the Yoga 260. The other ThinkPad Yogas (X1, P40, 460) also have a WQHD option available, which offers 2560×1440 resolution. 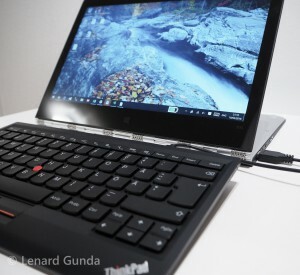 The ThinkPad X1 Yoga will be available with an OLED screen later this year (probably April 2016). Although the colour reproduction will probably be superior, it will eat into the device’s battery life, deducting at least two hours compared to the regular screens. Winner: the field is pretty equal when it comes to displays. The price difference for the higher resolutions screens is usually under 100$ / 100€ (except for the OLED, for which no pricing is yet announced). The higher resolutions screens have crisper text, which is nicer to look at if you work a lot with texts. If you just want to watch movies, the lower resolution could be fine as well (and by lower I mean FHD of course). All Yogas have 10 point multitouch (naturally). 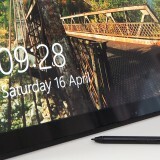 The ThinkPad Yogas come with a digitizer pen (by Wacom). All of the models have a nice little silo where you store a lighter version of the pen. 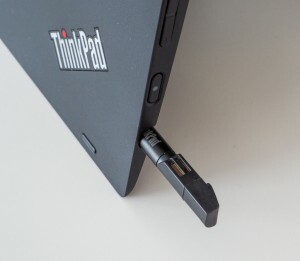 You can also purchase the separate ThinkPad Pen Pro to work with the ThinkPad Yogas. In this comparison I use the battery life estimates published by Lenovo. All except the Y3P have 8 or more hours of quoted battery life. It is impossible to give you a measurement, because battery life will depend on what you do with the machine. A bigger battery is usually better, but then again more power hungry components might negate the advantage of the bigger battery. Portwise I think they are all well equipped. I should mention that the YOGA 900 with the USB 3.1 Type C does give some headaches, because currently the adapter situation for Type C is not really nice. It is hard to find a good adapter, and adapters also cost a lot. Some shops carry “fake” adapters. 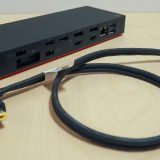 Read my experience with adapters in my YOGA 900 review. The situation should improve as the port gets more widespread and more manufacturers get into accessory production. I will quote Euro prices from the Finnish Lenovo store. So be sure to check your local store and local deals. Use the prices here for comparison only. Based on the prices the X1 Yoga is a very premium choice. Fully configured it reaches 3000€ (!). I would expect the P40 Yoga to get a similar price range, maybe a little lower. 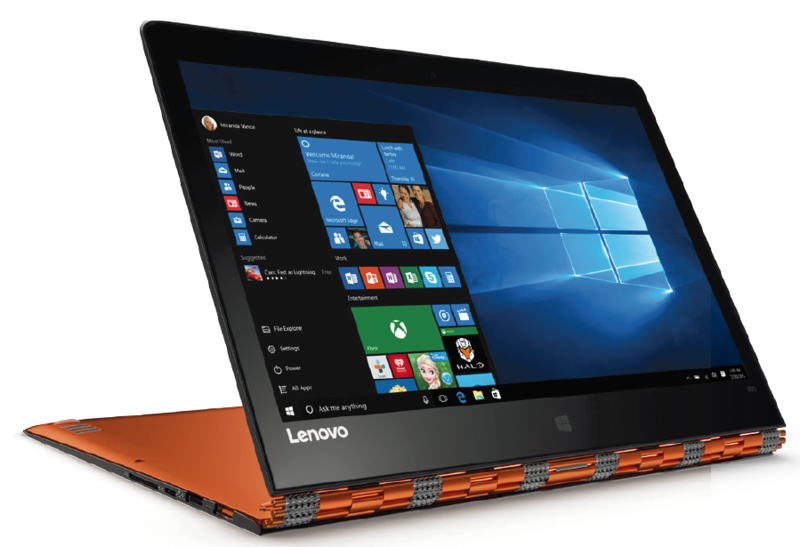 The YOGA 900 and 900S are the top of the consumer line, they even cost more than some of the ThinkPad options. The 500 and 700 series are more for the budget constrained buyer. They are all Yogas, but they make compromises in quality, weight, size for delivering a cheaper package. If you have read my article up to this point you will probably wonder how I could recommend any one single system over the others. And you would be right, I cannot. It depends on what you are looking for. Given the above information I hope you have a clearer picture in front of you. I will try to give some advice based on what your primary preference is. If you want a Yoga and price is of concern, then go for the ThinkPad Yoga 260 if you want a ThinkPad. 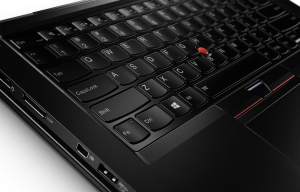 If you do not want a ThinkPad, then the budget may determine what you want. The YOGA 900 is an excellent choice, but quite pricey. The 710 and 510 Yogas from the consumer line are more budget friendly choices. They are all incredibly thin and light. If you want something small, go for the ThinkPad 260 Yoga or the YOGA 900S. If weight is your primary concern, look for the smaller and integrated graphics models. The YOGA 900S is the lightest of the bunch, but so is the YOGA 900, ThinkPad 260, X1 Yoga. The more performant ThinkPads and the 510/710 lines get heavier. If you value pen input, then you need to choose something from the ThinkPad lineup, because the consumer Yogas do not have pens. Performance wise there is no real difference. There are some models with Core m processors and some with Core i. If you just want a media consumption device, Core m should be fine. These are also fine for basic office work. If you want to do more serious things on your computer, consider one with the Core i option. For work I would recommend you get a ThinkPad Yoga, although the market is really confusing, because now the YOGA 900 is getting a business edition too. I absolutely love the hinge on the YOGA 900 (and Yoga 3 Pro). It is very unique and stands out. If you want built in WWAN (4G/LTE) you will need to get a ThinkPad. Those YOGAs have options for built in WWAN support. Feel free to ask me questions in the comments sections below. Also don’t forget to check out the companion web app. Yoga 460 will max out at 8 gb of ram. Which both, are super dumb moves from Lenovo’s side. Thanks for the comments Janne. However, I think you are wrong on both issues. If you look at the PSREF documents for Western Europe, it does indeed show the P40 with the WQHD available, and the 460 has a max ram of 16Gb. At least for the Yoga 460 I can say with confidence that the 8Gb limit that was published is a mistake (for example last autumn in the spec sheets). All Skylake generation ThinkPads will support a minimum of 16Gb of RAM. The PSREF document for Western Europe does mention the P40 with a WQHD screen. Sometimes some features are not available right at launch. But I will ask Lenovo about this and will get back to you. I’m considering either the X1 Yoga or Carbon for work. 90% of what I’ll do with it will be in laptop mode. How practical is the tablet mode given its weight and size compared to a typical tablet? Do you actually use it in the other modes? I have used Yogas for a year now and had the X1 Yoga for about two weeks. (Review coming up later). I would say I also use it 90% of the time as a regular laptop. However I do use the touch screen even in laptop mode, granted that alone would not have made me choose the yoga over the carbon. I find Stand mode useful in meetings to show people stuff. The pen that comes with the yoga is useful for note taking or during presentations to write stuff or highlight things. No touch and no pen in the carbon. 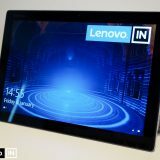 Regarding tablet mode, if you have a 7 or 10 inch tablet you use in bed to read, the x1 yoga will not be the ideal replacement. But you can use it that way and its not that bad if you do not otherwise have a tablet. But if you want to use it in bed I usually lay on my back and put it in tent mode or stand mode on my stomach/chest 🙂 You can read or watch movies that way and no need to hold the notebook in your hands. And you can use the tablet mode to view instructions like a clipboard (in school or in work viewing and assignment for example). So it all comes down to what you do with your notebook. If you tell me more about what sort of usage you have in mind I will try to comment more. Thanks for the feedback. The majority of the day I will be plugged in at work with a dock and using external screens, keyboard and mouse. For meetings I’m generally plugged into a projector rather than using the laptop to present. If I’m taking notes in a meeting it’s usually directly into a word document or spreadsheet which is often up on the projector, otherwise pen and paper. I’ll be flying weekly (1-2hr duration) so I need something that’s light weight. I probably won’t do work on the plane, if anything maybe watch some tv or movies. Even with a Yoga in tablet mode, I probably wouldn’t be able to use it during takeoff and landing as it’s too big to pass off as a tablet (airlines here generally only allow small devices during takeoff and landings). I do go out in the field sometimes and need to look at drawings/PDF documents on construction sites. I’d probably be worried about getting dust/dirt in my laptop, or getting it wet when it rains. Typically I’ve used a tablet in the past with an appropriate case. I have a TV in the bedroom which I watch any media on rather than a laptop. If I’m sitting on the couch watching TV, I usually am typing or web browsing (generally find the laptgop easier than a tablet). Sorry I posted my reply in the top level of the thread — I write here in case you have follow up notification enabled. Last time I travelled on a plane they explicitly said devices that are 10 inch or below can be used during takeoff and landing, so probably that is going to be the “tablet” by airline standards. That also excludes the X1 Yoga as something you would be allowed to use during takeoff and landing. As for presenting, you do not need to present on the device itself to take advantage of touch and the pen. You can make notes during presentations onto the slides directly (with the pen) and PowerPoint can even save these into the slides, so you can have the notes/markings afterwards. If presenting is something important in your work and not just something you do once every 6 months, then I would strongly consider going with the X1 Yoga just because of the pen. If you can live with a smaller display, the ThinkPad Yoga 260 might also be a great fit because of this reasons. When reading on the Yoga computers, I like to use tablet mode, and turn the device vertically, because documents are usually in portrait mode, and that way a lot of content fits on the screen at once. I just read some work material this way. 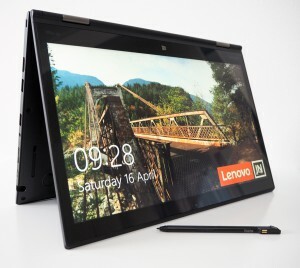 Bottom line == if your workplace is paying the bill or you do not mind the price difference, go for the X1 Yoga. Even if you start using it as a regular notebook at first, you might find great use cases for the other modes, for touch and for the pen. That said, given what you wrote, you could go by with just the Carbon, and use a separate smaller tablet for flights/entertainment. 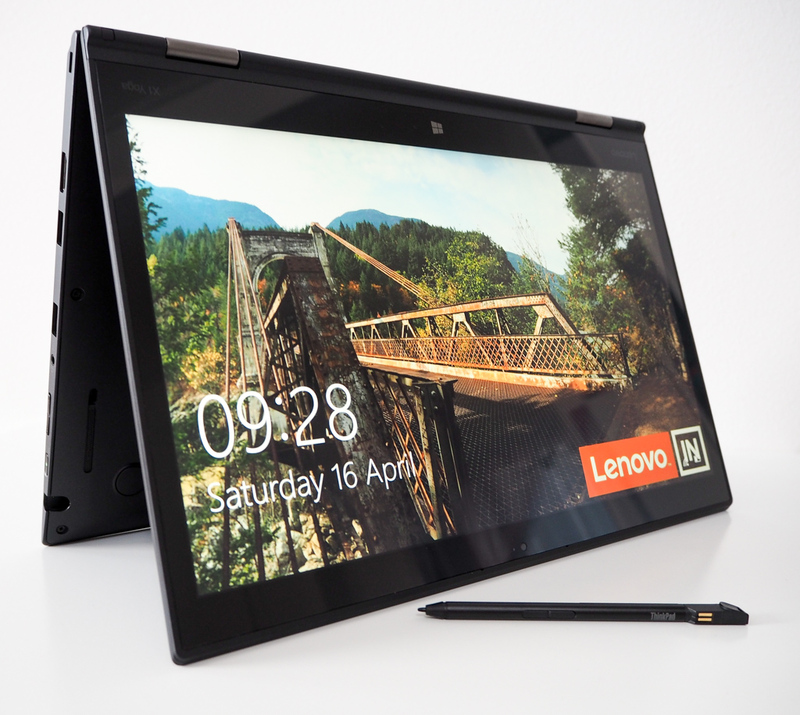 And consider the ThinkPad Yoga 260 as well, it has a smaller screen (and its cheaper). Thanks once again for your feedback. The Thinkpad 260 Yoga is an interesting option, however I think the screen size will be a touch on the small side for when I need to work without an external screen (I’ve played around with a Surface Pro briefly and found its 12.3″ screen didn’t feel big enough). 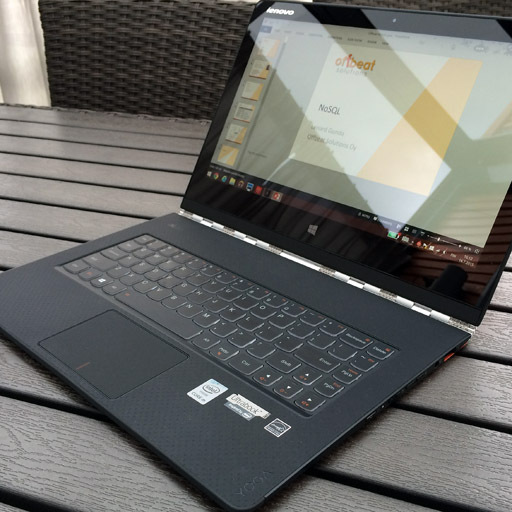 Despite being smaller the 260’s specs indicate it’s the same weight as the Thinkpad X1 Yoga. I guess after using laptops for nearly 20 years I’m used to working with them in a certain way, and am still trying to overcome that bias and get my head around how the 360 hinge will benefit my workflow 🙂 Unfortunately I’m paying the bill, and although both the Carbon and Yoga are within my budget, I’d prefer not to spend more than I need to. 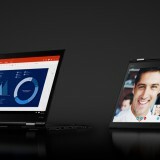 I’m leaning towards the ThinkPad X1 Yoga – Core i7, however I’m not sure whether I’d get any benefit from going to the WQHD screen (it’s another $450 over the FHD screen as I just can’t upgrade the screen on it’s own and need to get the top end model which includes some extra hardware that I don’t need). 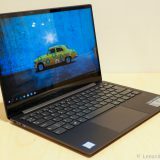 I am really stuck between the Yoga 460 and the X1, I asked and someone told me the X1 would be superior, but more expensive and the 460 is very good too. Could you help me differentiate? I also like the 260, but I’ve read that its display is inferior. I’ve been looking all the time and really find it hard to decide. The compact build and light weight of the 260 is nice. The ThinkPad Yoga 260, 460 and X1 Yoga share the same basics concerning processor and RAM, so in that department you will not see any difference. The most premium model is the X1 Yoga, and you will find that you can configure that with the best options for SSD for example. If you are not looking to max out SSD performance, and can live with a larger/heavier system, you will not see that big of a performance difference between these three. Display wise, the 260 has a bright screen, but not that good of the sRGB coverage – something to look for if you want to do for example photo editing on the notebook itself. The same is generally true for the 460 as well. The X1Y WQHD screen has excellent sRGB coverage, but is not as bright. Without knowing more of your requirements and budget, it is hard to recommend anything in particular. If you wish, please share more about your intended usage as well, so I might be able to better recommend something. If you can afford it and want to max it out, then go for the X1 Yoga rather than a maxed out 460 or 260. If you are not planning on maxing out SSD and other options, and the display size is not a problem, I would say look at the 260. BTW, if you wish to see the specs for these three side by side, check out my Yoga Comparison web app. hi i want to buy a ultrabook with the price range of 45 to 50 thousand. 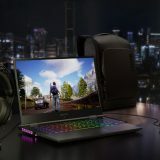 I am undecided between purchasing the TPY 460 and the TP X1 Yoga. Long lasting battery and general portability is a main priority, but not really sure if the actual price gap is justified. Design and build wise, how does the TPY 460 feel? I believe it has a aluminium screen case, but rest is all plastic, no? Has it got a premium feel to it and the lift and lock system feels comfortable, or more like cheap plastic that one might be scare to break? Also, did not manage to find any comparison between the X1 QHD and X1 FHD battery life. I would stick with the basic i5 processor, but all comparison on internet normally are between X1 i5 FHD vs X1 i7 QHD, so it does not really help. Any advice on screen selection if I finally decide to purchase X1, specially regarding battery life? I think an i5 would serve your needs great. I have no measutements to present to you on the WQHD vs FHD battery life – my understanding is that the FHD screen would get around 30 minutes more battery life. I debated long about which one to get and finally choose the WQHD. My main reason is better looking fonts. 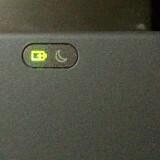 As I work with text s lot (software development) I preferred the sharper text to the battery life. 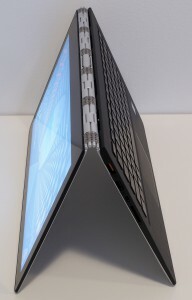 As for the X1 vs 460 debate, the X1 is thinner and much lighter due to the more premium materials used. Performance wise they would be similar. No need to worry about the quality of the 460 though, it is a ThinkPad and of course has the same high quality standards (milspec testing) that other ThinkPads get as well. Looking at the X1 and the 900. Your reviews are spot on for what I needed for intel. Thank you. But I still quite don’t understand what justify the price difference between X1 YOGA and YOGA 900. Processor, ram, hdd looks similar ; is the screen and build quality the only difference? I’ll use it to develop (Java, NodeJS) and may need to run some VMs. I like to work on Linux. My plan is to use it as main computer for a year (or 2), docked, with 27″ screen, mousse, keyboard and speakers ; then use it as tablet and leisure computer to follow me in my trips. 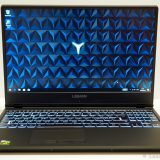 Is there a reason for why I should not go for YOGA 900 and spend £1300 more? Owning both computers, I will tell you at times I find the Yoga 900 bettter in certain aspects. 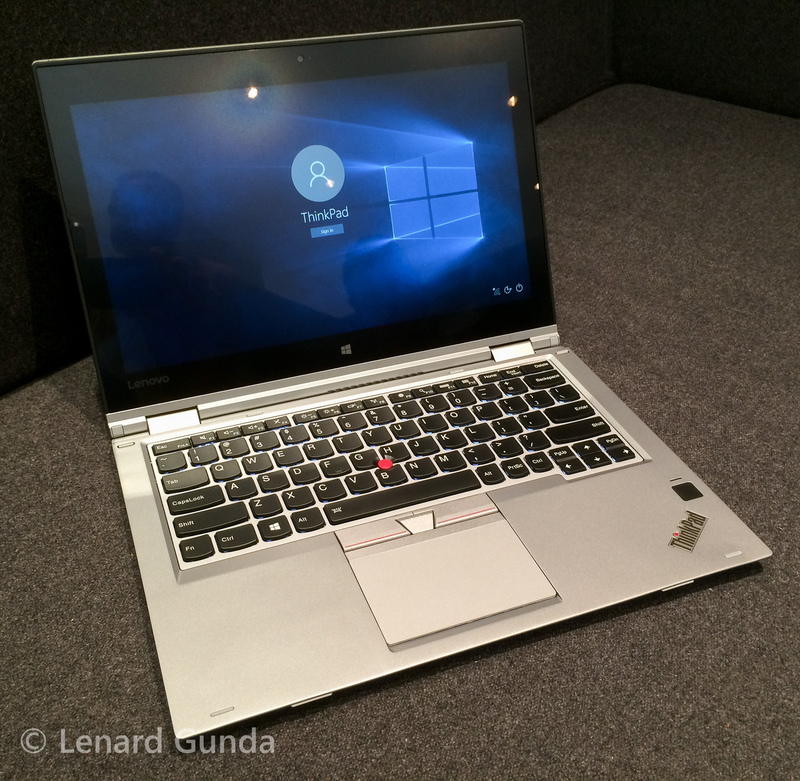 I will explore some things I miss from the X1 Yoga in an upcoming article – but I do still love it. Anyway, I can see how it is a difficult decision. Let me point out some differences. You mention pounds, so I assume you are from the UK (I checked the UK warranty information and prices). I also assume you just went to Lenovos page and compared the two top end models to get at that price difference? Warranty. The X1 Yoga gets 3 years of onsite warranty. Meaning a technician will come to you in the first three years to try and fix it. The Yoga 900 gets 1 year, and you will need to send it in / take it in somewhere. It makes a big difference for businesses (for which the X1 Yoga is primarily targeted), and it of course shows up in the price as well. The X1 Yoga comes with Windows 10 Professional while the YOGA 900 comes with the Home version (at least the top end X1Y gets the Pro). The X1 Yoga has a digitizer pen, the YOGA 900 does not. The X1 Yoga has PCIe NVMe SSDs, while the YOGA 900 does away with PCIe only. The X1 Yoga has a OneLink+ docking connector if you wish to use a docking station, the YOGA 900 does not. Having the USB Type-C in the Yoga 900 is actually a little bit of a pain if you read my articles about that machine. 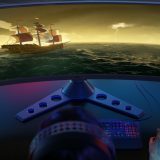 This will change with time, but I thought I would point it out as you mention you want to hook up your computer to peripherals. The X1 Yoga conforms to military specifications of dust, heat, moisture resistance and durability. The YOGA 900 does not. You can get the X1 Yoga with an OLED display. That is expensive (and is included in the top end model on Lenovos site). But you can configure the X1 Yoga not to have it, dropping the price (and thus the difference) by 230 right away. While these are the differences, it is of course up to you to decide if all these are worth 1300 pounds. Or if they even matter to you. If you compare the top end models, the price difference is indeed 1300, but keep in mind you, that the top model of the X1 Yoga uses the OLED display (remember 230 pounds). When customizing the computer, you can also drop things off. For example you can drop the X1 Yoga Win10Pro to become Home, and it makes it 55 pounds cheaper. Want the X1 Yoga with 1 year of warranty only instead of 3 years? Possible. -55 pounds again. Not all combinations are possible, but you can certainly customize it pretty much to get them closer. I hope I gave you some explanations to where the price difference goes. I am not saying there is no premium in the ThinkPad price, but it is certainly not as much as it would seem at first! Also remember that people seemed to have some sort of problem installing Linux on at least some of the consumer line notebooks from Lenovo. I do not know if the Yoga 900 is affected or not, but the ThinkPads should not have any problem installing Linux on them. So if you want to go with Linux, please read up on what is the situation with the Yoga 900. So in the end, which way should you go? I would think you will be satisfied whichever you choose, because both are excellent machines to work on. There are differences, as I tried to point out here, and if you decide how much they matter to you I think you can decide which one to get! It was really helpful. Indeed, “buzz numbers” (proc, ram, …) are close but Yoda 900 looks to be designed for general public, where X1 YOGA provide more output ports, better screen, docking support, linux support… in other words, designed for pro usage. Now because I was more interested by a powerful laptop than a nice & good looking one (with extra mobility features), I went for the T460p: cheap enough to by an extra YOGA 900 for the same price. Waiting for it now! 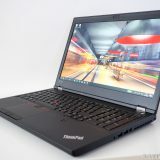 I am just about to purchase a Thinkpad Yoga in Australia and can’t quite decide between the 460 with i5 and Nvidia Graphics or the X1 Gen1 with i5.Most of my use is a mix of web browsing,documents,a bit of basic music editing and some Cad work on Revit and I also play around on Sketchup.The 460 with dedicated graphics is my main pull towards it.I do have concerns though regarding Linux compatibility with the 460 as there is not much information around with Linux use on it.The X1 on the other hand looks like Linux runs well on it and even has Ubuntu approval.Do you know of any 460 users running Linux with no issues.The specs are very similar so I can’t see there being major issues with the 460 but any advice on this would be much appreciated.